NABJ recognizes journalism that best covered the black experience or addressed issues affecting the worldwide black community during 2011. The Salute to Excellence National Media Awards competition is open to all media organizations and individuals involved in print, broadcast and/or online journalism media. Submissions must cover people or issues of the African/African American Diaspora. Entries will be judged on content, creativity, innovation, use of the medium and relevance to the black community in 69 categories. The deadline for entry is January 23, 2012. Finalists are notified in advance. 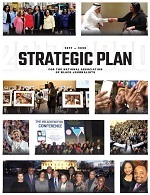 NABJ also celebrates the best work reﬂecting the growing scope, creativity and importance of public relations, marketing, and advertising professionals. Our awards recognize outstanding campaigns, programs and tactics, and the dedication and contributions of communications professionals. Solo practitioners, agencies of all sizes, large and small businesses, top corporations, media outlets, nonprofits, associations and government agencies are all encouraged to apply. The deadline for entry is January 23, 2012. 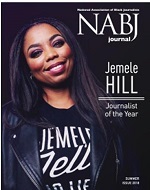 NABJ's most coveted awards honor the groundbreaking accomplishments of black journalists and those who support blacks in the media. These awards include Lifetime Achievement, Journalist of the Year and Best Practices. From those who blazed the trail to the ones who fight to make sure our stories are heard, even in the face of adversity, NABJ bestows 12 special honors on journalism organizations, professionals, educators and students committed to exemplary coverage of the black community. The deadline for entry is January 13, 2012. Every year, NABJ pays homage to legendary black journalists who have made outstanding contributions to the industry. On April 5, 1990, seven distinguished journalists became charter members of the NABJ Hall of Fame. Over the last 17 years, NABJ has inducted 31 journalists into the esteemed Hall of Fame. Nominations are approved by the NABJ Board of Directors. New inductees are installed annually at the NABJ Hall of Fame Banquet and Inductions. The deadline for entry is January 13, 2012.